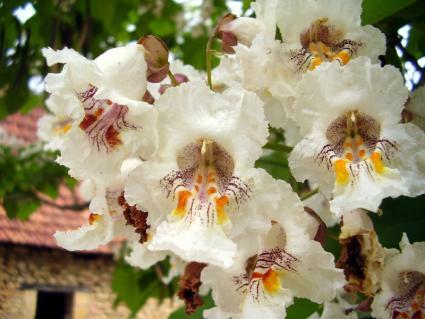 Catalpa trees are native to eastern North America and adapted to grow in much of the United States. They have many redeeming qualities, both aesthetically and functionally, along with a few drawbacks that should be noted when considering whether or not to plant one. Catalpas grow quickly to 30 or 40 feet with some varieties eventually reaching 90 feet in height with a three to four foot diameter trunk. They are typically taller than wide with an irregularly-shaped crown and widely spaced branches. The aesthetic highlight of the trees are the massive flower clusters that cover catalpas in late spring or early summer. They are white with purple and yellow markings, and have the refined appearance of an orchid. Individual flowers are an inch or more in size and the combined effect when the tree is in full bloom is quite dramatic. Catalpa leaves are also quite glorious. They are large, usually eight to 12 inches in length, and heart-shaped. Together with the exotic flower clusters the trees have an almost tropical appearance, though in reality it is extremely cold hardy. 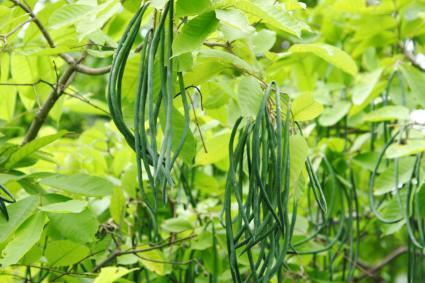 The leaves emerge in spring, followed quickly by the flowers; these give way to foot-long seedpods which hang on the tree through fall and often through much of the winter. 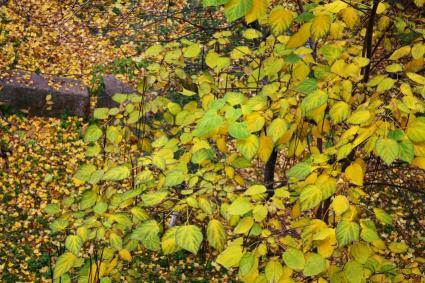 The foliage turns yellow briefly in fall before turning brown and dropping to the ground. Catalpas are generally considered a tough and adaptable tree but there are several things to keep in mind when choosing where to plant one. Catalpas tolerate temperatures down to at least -20 degrees and are tolerant of high heat as well. 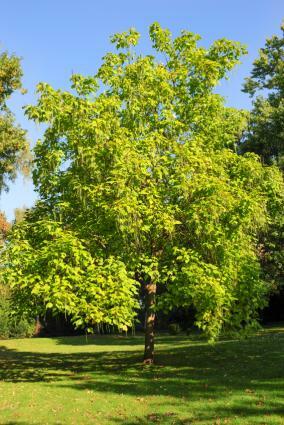 Though they tolerate heat, it is important to note that they often look shabby in hot weather and their leaves may turn yellow and drop in late summer as a response. Likewise, they are quite drought tolerant and adaptable to a wide range of soil types, but they look much better where there is regular moisture available and the soil is deep and rich. The one thing catalpas can't do without is full sun. The fast growth rate and dense canopy of catalpa trees makes them a good candidate for use as a shade tree, while the flower display beckons for use as a specimen tree to be viewed from a distance. However they are used, there are several drawbacks that should be considered. Catalpas tend to have a somewhat ragged appearance from late summer through winter. The wood is brittle and the branches are prone to breakage in heavy winds, snow, and icy weather. They often need corrective pruning from a professional arborist to develop a structurally sound form. Litter from the fallen leaves and seed pods is voluminous, making them a fairly high maintenance tree. Though they are a native species, they can be somewhat weedy with seedlings sprouting up all around mature trees. Catalpas are prone to caterpillar infestations, which can defoliate the entire tree. The effect is temporary, however, and the trees usually recover fully. On the upside, the particular caterpillars that attack catalpas are highly sought after by experienced fishermen who use them for bait. There are two main species of catalpa planted in the U.S., the northern catalpa and the southern catalpa, but the differences between the two are slight. The main difference is that the southern catalpa tends to be slightly smaller. There are also a couple of ornamental varieties that are occasionally found in nurseries - a purple-leafed variety, known as Purpurea, and a golden-leafed variety, known as Aurea. The pros and cons of the catalpa point toward its best use being in naturalized settings on large properties, where it can be appreciated from a distance. Overall, it is a very worthwhile native tree to consider for its fast growth and seasonal beauty.